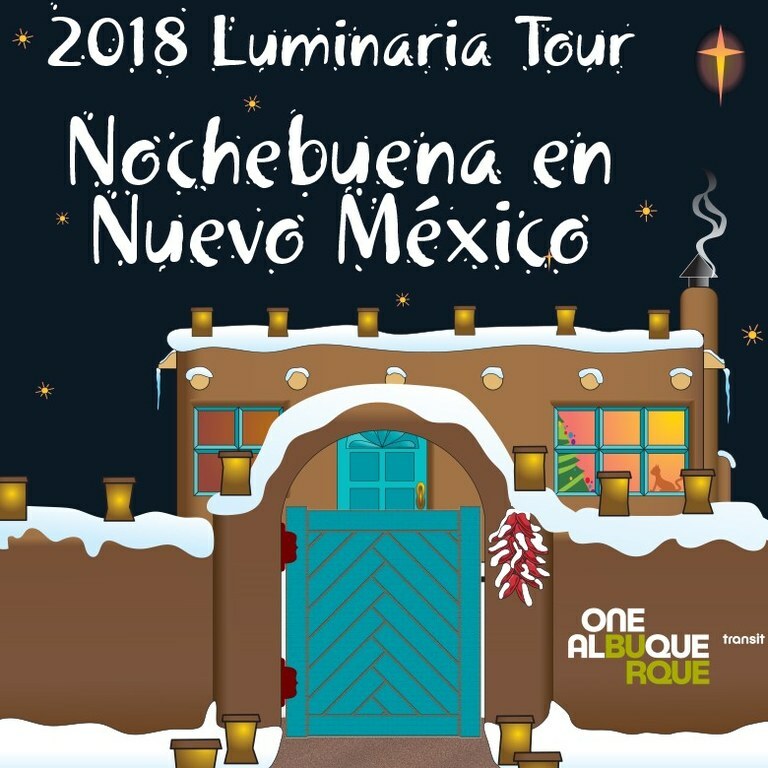 Experience Nochebuena en Nuevo México with ABQ RIDE's Luminaria Tour. Tickets for ABQ RIDE’s Annual Luminaria Tour go on sale Friday morning, Nov. 29, 2019. Details to be announced. Tour times are scheduled at 5:30 p.m.; 5:50 p.m.; 6:10 p.m.; 6:45 p.m.; 7:05 p.m. and 7:25 p.m. If you cannot make the tour, tickets are transferable. Enjoy an annual New Mexican Christmas Eve tradition without worrying about driving, parking, and traffic. Let ABQ RIDE take you through beautiful neighborhoods filled with luminarias and Christmas lights in Old Town, the Albuquerque Country Club and other hot spots dressed for the Holidays. The tour, originating from the Downtown Convention Center, lasts about 45 minutes. Tour goers are encouraged to arrive no later than 20 minutes prior to scheduled departure time and can park for free at the Convention Center's east-side parking structure at Dr. Martin Luther King Jr. and Broadway NW. Parking underneath Civic Plaza also is free. Please follow the signage to the Luminaria Tour. The tour buses as well as the Convention Center are wheelchair accessible. Bathrooms are available only at the Convention Center departure location. Drinks with lids are allowed on the bus. Food or open liquid containers are prohibited. Feel free to take pictures during the tour. View the frequently asked questions about the annual ABQ RIDE Luminaria Tour.